I’ve known Karim for about twenty years, a friendship which began through his interest in, and knowledge of the writings of W. Somerset Maugham. More recently, he has discussed his play with me both on the telephone and through e-mail, conversations which have convinced me that there is the possibility of a very interesting play – or film – in his conception of Maugham’s exploration of Eastern mysticism. Maugham is a very interesting figure on which to base a play or film. In his prime, he was one of the most popular and best-known authors, having achieved acclaim as a novelist, short story writer, playwright, and travel writer – in the 1920s he was paid a dollar a word for his short stories (this in an era of low income tax). He was affluent and part of the London literary/social scene, lionized by society hostesses and the friend of politicians and aristocrats. 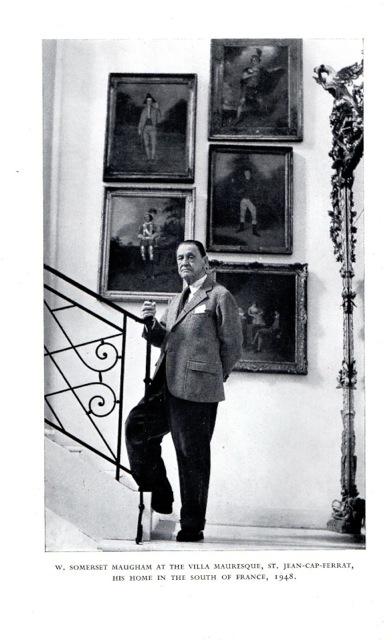 He was an Edwardian gentleman, relishing the gossip and scandals of British society, and valuing what his very considerable income could buy him – such as his estate, the Villa Mauresque, at Cap Ferrat, in the South of France. 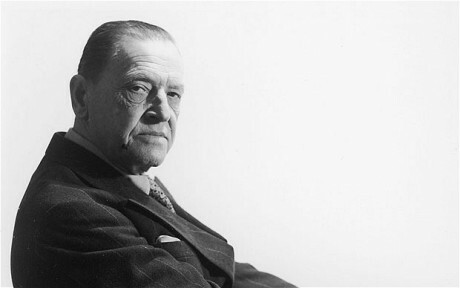 Maugham, however, was also a conflicted man. He was deeply scarred by the deaths of his parents when he was very young, and his subsequent miserable childhood spent with an aunt and uncle. He also stammered badly, which prevented him from going into the family profession of law – he didn’t feel that he could argue cases effectively in court. 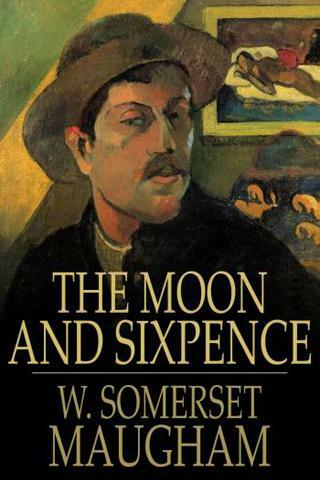 As well, he was bisexual, and, being one of the great many gay men who were traumatized by the Oscar Wilde trial, he worked hard to keep his sexual orientation from his reading public. Perhaps because of this “baggage,” Maugham desperately sought freedom – physical, intellectual, emotional, and he often found it in travel, in the distance he could put between England and himself. His observations in the South Seas, Asia, Europe, and other parts of the world underpinned so much of his writing. 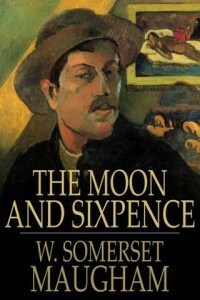 As well, his own desire for freedom found its way into many of his works of literature, and he often wrote admiringly of characters who had found liberty and peace of mind: Charles Strickland, the Gauguin-like painter in The Moon and Sixpence, and Larry Darrell, the young American truth-seeker in The Razor’s Edge. But, while he envied and celebrated the freedom they won, he was never himself able to throw off his attraction to the material social life in England and France, and so in both these novels, he represents himself as a narrator who observes the action but cannot fully embrace rebellion and unconventionality. In its treatment of Indian mysticism, The Razor’s Edge (1943) was at least twenty years ahead of its time, anticipating the pop interest of the Beatles and others in mysticism in the 1960s. The novel is a remarkable achievement for a man approaching seventy, and it came about because of a long trip through India that the author made in the late Thirties, where he met and was much influenced by one (and perhaps more) holy man. It is this meeting around which Karim constructs his play. 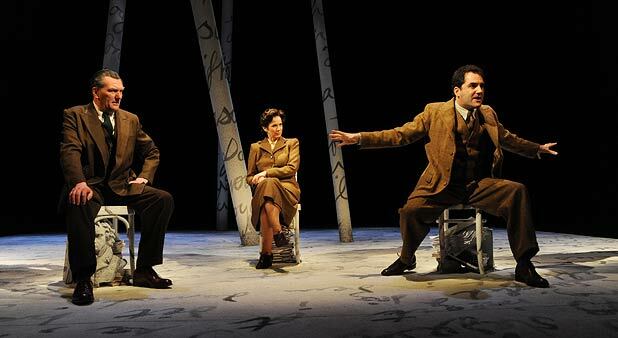 In his superb play Copenhagen, Michael Frayn treats a meeting between the nuclear physicists Niels Bohr and Werner Heisenberg in Denmark in 1940. Frayn uses this meeting – offering several versions of what might have been said by the two men – to deal with many matters: the world of nuclear physics, the morality of science in developing the atomic bomb,, the morality of Heisenberg in working in the German nuclear program, and the morality of Bohr in going on to help build the American atomic weapons. The meeting between Maugham and the sadhu, it seems to me, holds the same rich possibilities. It can be seen as the intersection of two worlds: the European (or Western world’s) materialism, social superficiality, and (for some) conflicted unhappiness with life and the spiritual values of Eastern mysticism. On the stage, this could be strongly represented by the spectacle of the formally attired Edwardian gentleman Maugham (who never lost his Edwardian aura even in the 1930s) and the robed Indian mystic. Karim is very well qualified to write about the two sides of this meeting, being well aware of British society, attitudes, and class system, as well as the life and writings of Maugham (on which I’ve agreed to help him) and the Upanishads and Eastern mysticism. 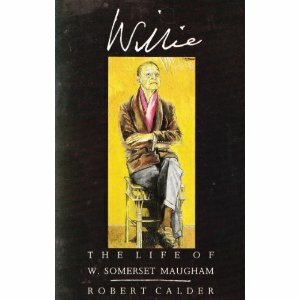 He has, moreover, created a scene or two in The Mauresque in which he brings in other characters in a dreamlike sequence: these include historic figures such as Winston Churchill (whom Maugham knew) and Mark Twain, and several representative characters from Maugham’s fiction (the worldly, snobbish, socially-conscious Elliott Templeton from The Razor’s Edge and the Gauguin-like painter Charles Strickland, from The Moon and Sixpence). Each represents some aspect of the conflict within Maugham, a conflict that finally becomes resolved in his conversations with the sadhu. 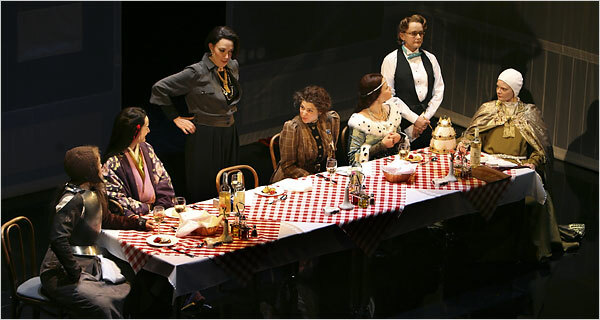 Caryl Churchill very effectively used a similar scene in her play Top Girls, where she has her contemporary high-achieving businesswoman envisage a dinner party of famous women from history and literature and folklore. Each character gets to talk about her experience, about the good and bad of her attempt to break out of the restrictions of her gender. On stage, I think that Karim’s imagined guest list at a dinner party at Maugham’s villa could work similarly. 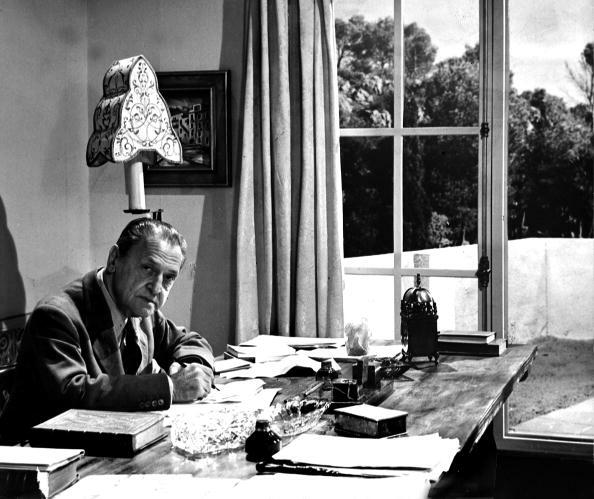 The Villa Mauresque, of course, represents another way that a major issue of the nineteenth and twentieth centuries is connected to Maugham’s life: the fact that the Villa was previously owned by King Leopold, the most brutal imperial exploiter in African history. 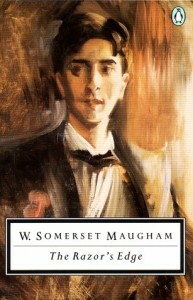 Maugham, of course, knew about British Imperialism and wrote frequently about it in short stories, plays, and novels, but he was no Kipling celebrating the “white man’s burden.” Maugham most often told about the racism, exploitation and corruption in the British colonies, and so his ownership of an estate once belonging to Leopold is deeply ironic. It gives Karim a splendid opportunity to explore aspects of imperialism and colonization, the effects of which are still being deeply felt in the world. I’ve suggested to Karim that his script would work best on stage, which is (it seems to me) a more fluid and flexible medium than film. There’s a greater “willing suspension of disbelief” in the audiences. I’ve also said that, in the normal course of events, a theatre company would take over the script, re-work it, workshop it, etc to make it a piece that works dramatically on the stage. I also think that a film could be made of the real meeting between Maugham and the holy man, but it would have to be much more realistically grounded. A good screenwriter, though, could create a story of the meeting of the two worlds: the capitalistic “civilized” Western world and the ancient and enduring world of spiritual values. An actor like Ian Holm confronting one of the skilled Indian actors would be striking on screen. All of my comments here are those of someone who taught drama as literature and as someone who knows Maugham and his writing well. The practical world of theatre is one in which I have had little experience. But, I do think that The Mauresque has a great deal of promise.